A valiant attempt to revitalize the Western, Silverado packs in all the genre elements but lacks the required subtlety and sophistication to craft a memorable experience. In the wild west, Emmett (Scott Glenn) shoots dead four assailant trying to kill him. He then saves the life of Paden (Kevin Kline), who had been left to die in the desert, and the two men join forces and make their way to the town of Turley. 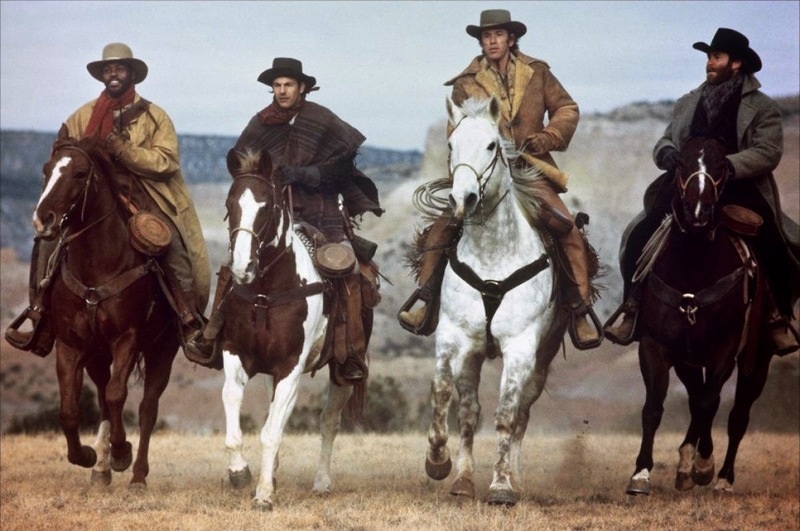 Emmett helps his brother Jake (Kevin Costner) escape from the clutches of sheriff Langston (John Cleese), while Paden renews acquaintances with Cobb (Brian Dennehy), his former riding partner. Emmett, Paden and Jake then team up with Mal (Danny Glover), a black cowboy and expert marksman who was driven out of Turley. The four men head to the town of Silverado, and on the way rescue a wagon train of settlers from bandits. Hannah (Rosanna Arquette), a member of the wagon train, is soon widowed and catches the eye of both Paden and Emmet. In Silverado Emmet and his new friends walk into the middle of a land dispute where Emmett's past will catch up with him, a professional gambler (Jeff Goldblum) will complicate matters, Paden will have to confront Cobb again, Mal reconnects with his father and sister, old scores are settled, and new lives are started. Despite featuring a dream cast and boasting Kevin Costner's breakthrough role, Silverado is merely competent. The film's fundamental weakness is a simplistic good versus evil narrative that, while enjoyable as a straightforward romp, recalls the genre's earliest era, where characters were all good or all bad with no place for shadows of complexity. 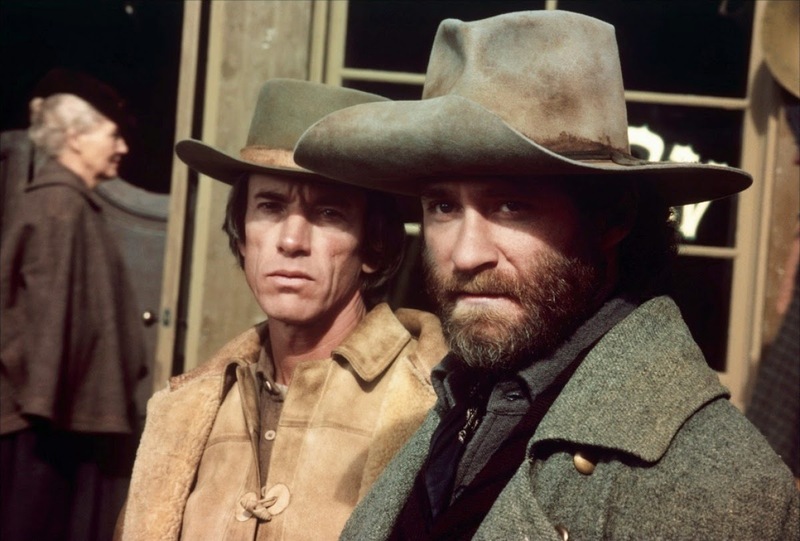 Silverado pretends that the 1960s and 1970s never happened when it comes to the genre's evolution, maybe in an attempt to reach out to a younger 1980s audience just looking to cheer on the good guys without straining any mental muscles. Also contributing to Silverado's problems is a sprawling script, written by director Lawrence Kasdan and his brother Mark, that attempts to cover too much territory. The film bounces from one set-piece to another searching for all the traditional genre elements and squeezing them in, whether they belong or not, and extending the running length to a wholly unnecessary 133 minutes. Thrown into the mix are the strangers who become allies, the canyon ambush, the wagon train in danger, the land dispute with ruthless cattlemen, the revenge story across generations, the black cowboy fighting racism, the father/son bonding, the saloon confrontation, the good girl forced to become a whore, the corrupt law officers, the expert marksman and the quick draw, the mysterious gambler, and the final shootout on the dusty main street. Silverado lines them all up and ticks them off a master checklist in what becomes an eye rolling exercise in unfocussed and soulless filmmaking. With so much going on the characters remain superficial, the heroes and bad guys defined as such and growing only in the most predictable directions, as the film rushes to the next derivative climax. Some of the characters, including Rosanna Arquette's Hannah and Jeff Goldblum's Calvin, are quite poorly underwritten. On the positive side, Silverado projects and maintains a jovial attitude thanks mainly to Kevin Kline's performance. Without veering into comic territory, Kline injects just enough dry humour to ensure that the film avoids taking itself too seriously. Scott Glenn, in a rare but welcome starring role, provides the counterbalance as quieter, more intense presence. Costner is a bundle of barely controlled youthful energy in a vivacious performance that launched him on a charisma-fuelled career. Kasdan and cinematographer John Bailey bathe the film in bright yellows to create an upbeat, sun-drenched visual aesthetic, and the sets recreating Western towns are intricate if a little too polished. 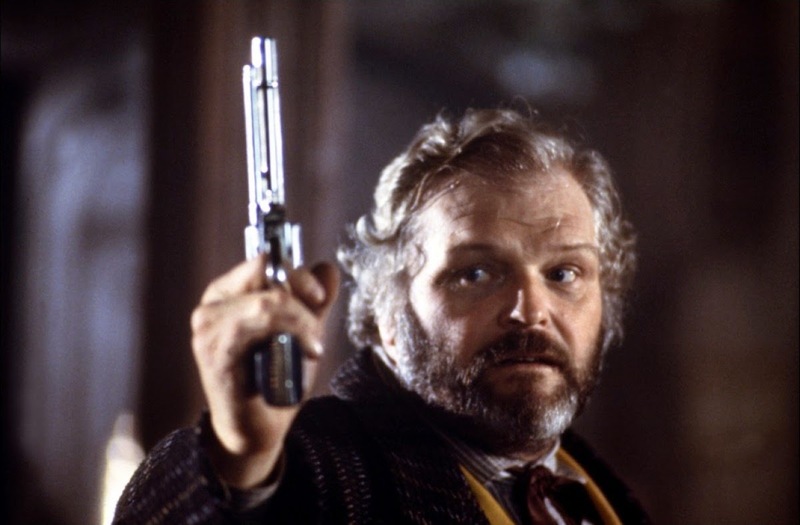 And the air of good intentions and professional delivery permeates the movie, with the galaxy of stars clearly having fun but also doing a fine job of bringing the disparate characters to life, Brian Dennehy a standout as the gruff Sheriff Cobb profiting from the business of being the law. In pursuing a long-shot resurrection of a much loved genre, Silverado is difficult to dislike but also infuriatingly naive.